offers lightweight comfort for both modern and traditional design themes. Wool and Slubby Linen Basics. 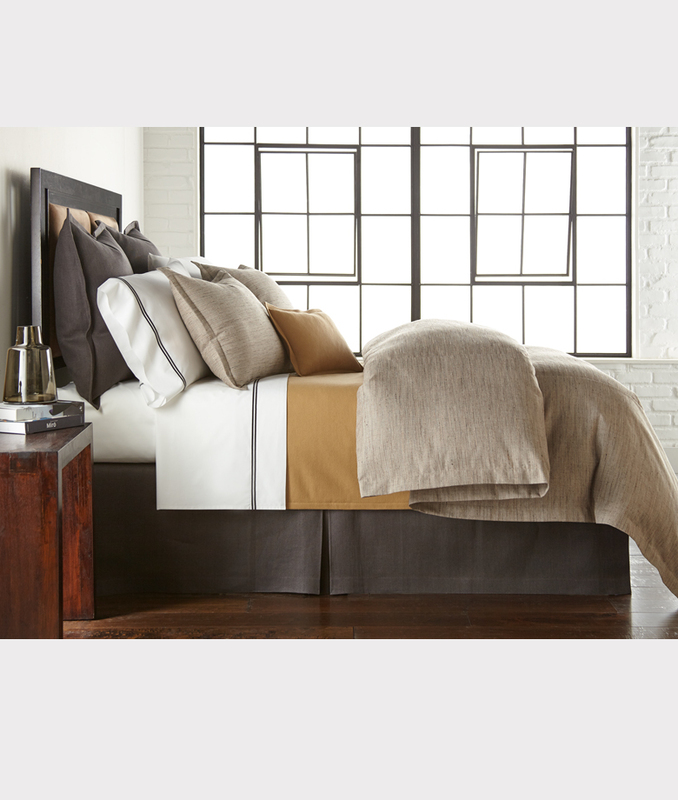 Paired with Hayden Camel Coverlet and 12 x 16 Pillow; Bed Skirt is Slubby Linen Steel. 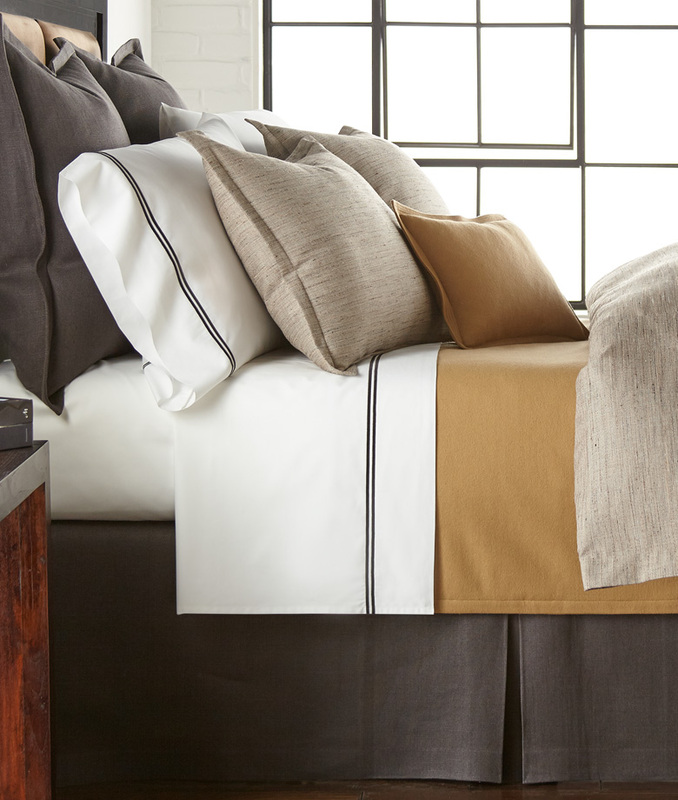 Sheets are Percale Satin Stitch II Antique White with Mahogany. 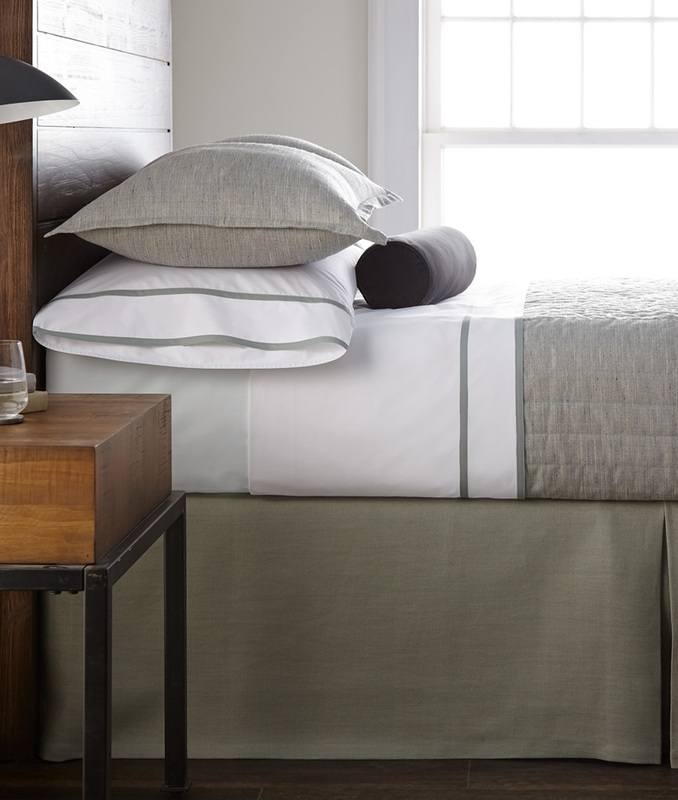 Also shown, color Tundra quilted coverlet and unquilted shams.